Here at Bulwark Legal Services Niagara Falls, we have practical experience in all traffic offenses and minor criminal allegations. We can offer you some assistance with fighting from a minor seatbelt ticket to a genuine activity offense! Throughout the years, we have managed cases like speeding, running the red light, stunt driving, careless driving, stop light and safety belt tickets, driving while under suspension and every single insurance related cases over Ontario. We are known for giving our customers a well-detailed report and the best assistance and advice for your case - for a FREE INITIAL CONSULTATION. We ensure that processing so as to manage your tickets will be made helpful whatever necessities required and removing all the data and information gathering off of your hands. You do not need to worry about rescheduling your meetings just to show up - we can go to court on your behalf for your benefit. We framed a group that was set up in 2013 that guarantees equity to be served. We have previous veteran cops that have more than 40 years of policing knowledge and also common prosecutors with more than 25 years of court indictment and resistance. Speeding is known but does not stand out amongst the most well-known activity offenses and a great many people simply pay the tickets for this is clearly the next step to do. What many people don't know is that battling for your tickets can really spare you more cash as opposed to simply settling. The best path to take after one encounters a minor infraction is to counsel an expert, like our team, first. When a mischance happens, with regards to careless driving, this offense is considered as one of the most serious infraction in Ontario. Battling this ticket can be troublesome and you will require assistance from experts for this. 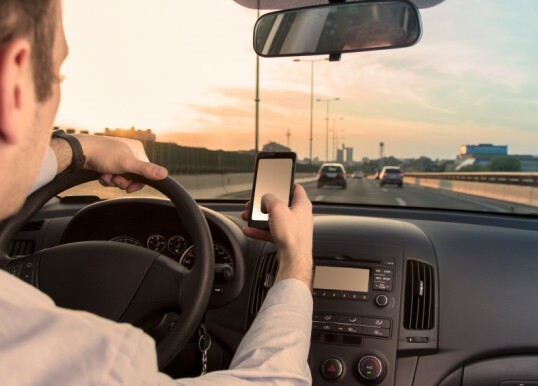 You will be confronting various penalties, and some of those are your driving rights which will lead to suspension, and in addition increment in your insurance. This will likewise reflect in your records which are bad in the event that you are or will be searching for job opportunities sooner rather than later. You are taking a gander at a petty criminal offense with penalties and fines that will be a weight at your end. This is viewed as a noteworthy conviction by insurance companies and there will be a compelling increment in insurance premiums. Stunt driving consequently suspends your permit for several days and in addition, impounds your vehicle. With our offer, we can give you the best line of defense for your ticket. When you ran a red light, you ought to have known the outcome of your activities. To exacerbate matters, they have a photo of your vehicle running the said red light. Also, whoever was driving the vehicle at the season of the infraction won't make any difference, however, the enlisted proprietor of the vehicle being referred to - that individual will be issued the ticket. You will be getting demerit points on your record for this. Whoever said that the fine simply should be paid for settlement is not acquainted with the law in light of the fact that occasionally, there are conditions at play, and there is a right penalty that should be cleared up. We are willing to help you with these worries. It is obligatory by law that all vehicles have insurance. Particularly in Canada, paying the fines is exceedingly costly. Not just that, your vehicle will likewise be appropriated and your license suspended. In the event that you as of now have or had insurance, you will be under the classification of "high hazard" and will confront genuine premium increments. In the event that, notwithstanding, you have no protection in the first place, you are taking a gander at an exceptionally extreme case and you will require our direction to offer you some assistance with straightening out your penalties. There is a noteworthy chance that your protection insurance rates will increase or in most pessimistic scenarios - will drop their coverage. You will likewise get no less than 6-month license suspension, and a payable fine of up to five thousand ($5,000) Canadian dollars. On the off chance that you are choosing to confess to the charge, it is essential that you instruct yourself first on the results of driving under suspension. It is of most extreme significance that you have a significant information on regardless of whether you have a defence to the charge. Reach out to us so we can begin helping you out with this case. Bulwark Legal Services is found in the Provincial Offences Office Regional Municipality of Niagara 4635 Queen St. Niagara Falls, ON, we also handle matters all over Ontario check out the available areas we serve at the bottom part of this page. It would be ideal if you round out the 'Contact Form' for us to better reach you and deal with all your Traffic Act issues or get us to discover precisely how we can help with your matters.